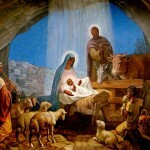 Another Christmas passes and “hope and joy” are the themes that flow in plenty as images of baby Jesus in a manger flood the mail electronic and physical. 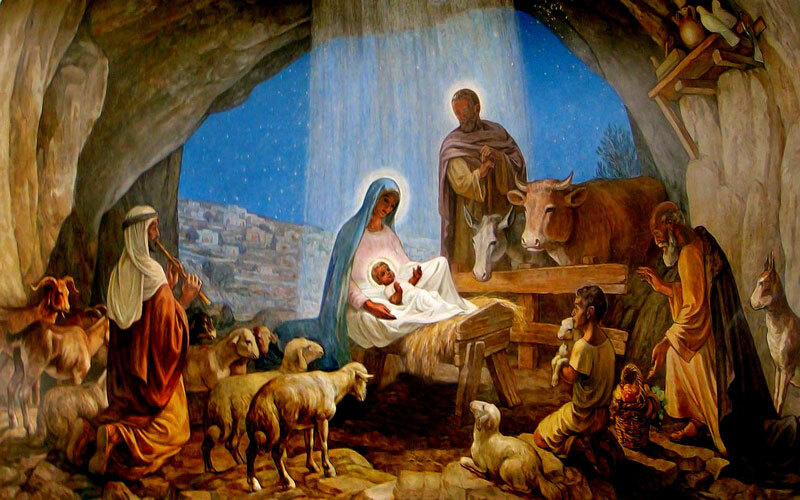 It may surprise some to discover that Christmas is also celebrated in middle eastern countries like Iraq, Pakistan, Palestine, Lebanon and Syria. Despite wars, starvation, pestilence and hardship, bombings, rebellions, militants, Dalesh, etc, that child in a manger has a presence there too. But which Jesus is it that calls the faithful, across such a range of cultures and backgrounds. Surely it is apparent to many that the white baby in the images of the western world would be an unlikely candidate for acceptance in the middle eastern world in which he grew up. 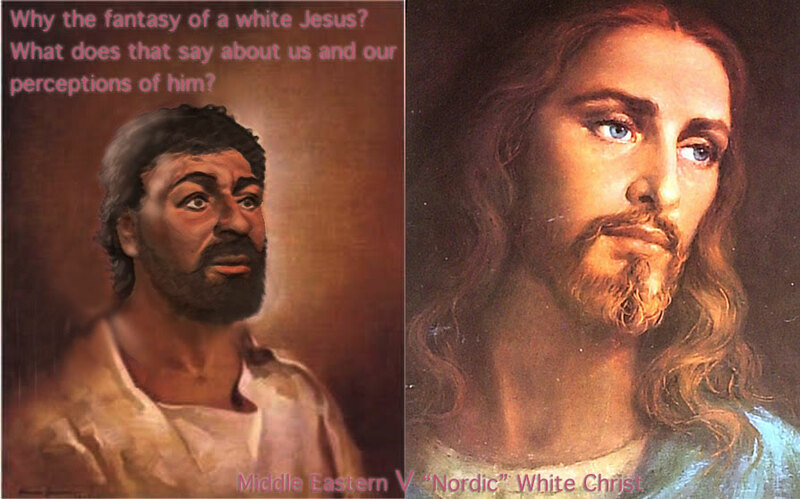 In fact, how did a Palestinian Jew such as Jesus – and in fact – the entire Hebrew race, for that matter, become as WHITE skinned as these men and women are so often depicted? Ever looked at a western picture and noticed how “white” they all were or are we so unconsciously culturally conditioned to accept this as “normal” that you never questioned it? This idea of a “white Christ” has begun to fascinate me recently, especially when you look at the Jewish historian, Josephus’s description of Christ, which appeared to suggest he was not so different from his fellow Palestinians. In an ancient world full of Romans, Arabs, Jews and Palestinians it is worth noting many hold to the belief that Christ was a dark skinned Palestinian political dissident nothing like the white conservative as is painted in Western Churches! Are there indeed at least two Christs followed by the Christian community? It’s an interesting question to ask, which Jesus you worship, accept, deny or rave against, isn’t it? Some minority of us in the western world and probably more in the Middle East celebrate the birth of a small dark-skinned, stateless and displaced child whose Palestinian (all that region was Palestine then) Jewish parents were – immediately following his birth – rendered as asylum seekers. A royal decree by their government pursued them – via the local “constabulary” – desirous of slaying their child (and probably the parents for good measure). Fortunately, a neighbouring Arab State (Egypt) gave refuge to this fleeing asylum seeking family so he could later return to grow up in occupied territory where he becomes a “radicalised” (at least according to the leadership of that time) but – usually – nonviolent revolutionary. Admittedly he did “lose it” in that violent outburst in the central city of religious observance’s main holy temple, where he disrupted commercial trading in what might be described as the first “occupy movement”. Other than this, he was relatively non-violent, which does although, speak significantly about his perceptions and reactions to, what he considered inappropriate commercial dealings. These protestations, among other offences, did mark him as a criminal agitator. His criminal associates did include hookers and tax fraudsters. He also propagated unhealthy associations with lepers and the socially ostracised which further marginalised him. He spoke no English although was fluent in local and middle eastern languages. He expressed publicly at large rallies philosophies that were ostensibly anti-wealth, anti-death penalty, and even anti-public prayer in a religious community. He did, on the other hand, NEVER raised a negative opinion about homosexuality, nor brought up subjects such as birth control, abortion or sexual preferences or gender orientation. He equally never chastised the disenfranchised or poor by referring to them as worthless or lazy. Instead of seeking a reduction in financial burdens (i.e. tax cuts) for the wealthiest Nazarenes, he actively pursued them to give more of their wealth away to provide for the poor. He did not ask the lepers he healed for co-payments but actively demanded his followers heal others without seeking compensation. He spoke angrily about abuse by authorities and was intolerant with corruption. His strongest language appeared reserved for the abuses of his own faith’s religious leadership. Who of course, responded by nailing him to a cross. The greater majority of the western world appear to follow the other “Jesus”. I and many atheist/agnostic companions may often refer to him as mythological, but he has an overwhelming following. This “mythical” white skinned gentle, handsome Nordic-looking conservative, with rolling long fair hair and well-groomed beard, has a very significant following. This handsome, blue eyed preacher is one who actively hates any act of feminine birth control (abortion or contraception); any and all sexual deviations from uniform heterosexuality and predetermined assigned gender roles. He actively encourages wars with foreigners including attacks on his former homeland; supports the insights of the well-funded oligarchs who fund government ideology that subsidises wealth and take from the poor; is universally misogynistic and racist, and disparages the poor and needy to blame them for the sins of the world. At least you would certainly think that by the example of his followers. The images of either Christ? It is this white Jesus that holds sway over significant populations in the Western democracies religious spirit. Western church communities tend to follow a version of this white Christ, sometimes preferring to be perhaps not quite as racist, or possibly in denominations being less misogynistic or less homophobic as conscience and social norms of the communities may dictate. 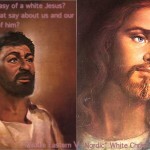 But certainly, there are often sharp moral distinctions between the followers of the black Palestinian Jew and the white Nordic-looking Christian Christ.